Beautiful apartment for rent from October to May in Lloret de Mar, Costa Brava. Located in Lloret de Mar. Very cozy apartment in a beautiful building located in a very quiet area of Lloret de Mar. The town of Lloret de Mar is located south of Girona and is part of the Costa Brava. It borders the towns of Blanes and Tossa de Mar. It is endowed with magnificent beaches of grainy sand and has incredible views of the castle at one end and on the other the monument to 'La Dona Marinera', which represents the suffering of the wives of the fishermen when they made long trips. This beautiful apartment is distributed in 55m2. It is accessed through a warm hall that opens onto a great living room in the form of a kitchen room, fully equipped with high quality appliances. Attached to this area is a large room with lots of natural light and access to a beautiful covered terrace. It has a full bathroom equipped with a bathtub and laundry area. It is not about long-term rental since it is rented from October until the end of May. 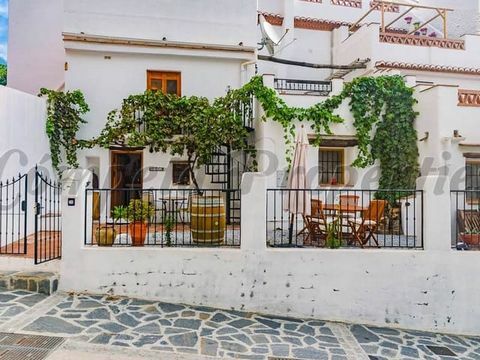 The apartment is also for sale for 110,000 euros. It is located just 100m from the nearest supermarket and 200 meters from the sea. On the way to the beach there are different restaurants with international cuisine, multiple bars and cafes, souvenir shops and beach accessories and a pharmacy. In addition, it is only a few minutes from the bus station and the center of the old city where the nightclubs and the entertainment and leisure areas are. Beautiful apartment for weekly rent in Lloret de Mar, Costa Brava. Located in Lloret de Mar. Very cozy apartment in a beautiful building located in a very quiet area of Lloret de Mar. The town of Lloret de Mar is located south of Girona and is part of the Costa Brava. It borders the towns of Blanes and Tossa de Mar. It is endowed with magnificent beaches of grainy sand and has incredible views of the castle at one end and on the other the monument to 'La Dona Marinera', which represents the suffering of the wives of the fishermen when they made long trips. This beautiful apartment is distributed in 55m2. It is accessed through a warm hall that opens onto a great living room in the form of a kitchen room, fully equipped with high quality appliances. Attached to this area is a large room with lots of natural light and access to a beautiful covered terrace. It has a full bathroom equipped with a bathtub and laundry area. It is located just 100m from the nearest supermarket and 200 meters from the sea. On the way to the beach there are different restaurants with international cuisine, multiple bars and cafes, souvenir shops and beach accessories and a pharmacy. In addition, it is only a few minutes from the bus station and the center of the old city where the nightclubs and the entertainment and leisure areas are. Lloret de Mar is the Spanish municipality of the region of La Selva, located in the province of Gerona (Costa Brava) It is endowed with excellent beaches of grainy sand. It also has magnificent views of the castle at one end and the other the monument to "La Dona Marinera" which represents the suffering of women waiting for the return of their fishermen husbands. Mediterranean coastal climate, with temperatures always much milder due to the thermal moderating effect of the sea. The nautical port of Cañellas is the only sport port in Lloret de Mar, located on the Canyellas beach, and where medium-sized boats can be moored. The nearest international airports are Girona - Costa Brava at 30 km and Barcelona at 75 km. Girona airport, Lloret de Mar communicates with a number of European cities and also has an important traffic of charter flights. Barcelona airport is connected with regular flights to the main cities of the world. In Lloret de Mar we find two golf courses and one of the most famous water parks in the area. The Lloret de Mar - Fenals round road is one of the most beautiful walks that can be done along the Costa Brava. 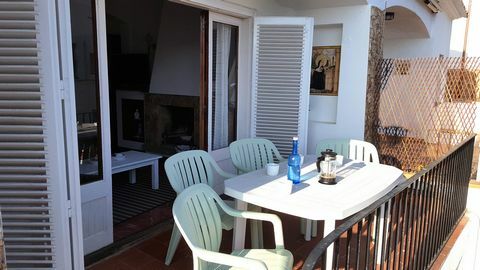 Very basic apartment located in the center of Llafranc, 30 metres from the beach. In the northeast of the Iberian Peninsula, a most perfect mix of colors is what you find on the Costa Brava of Spain, colors that create a true rainbow of feelings. The clear blue waters, the green of the landscapes, the golden sands... they all come together to offer a most unforgettable holiday on the Costa Brava. There are 214 km of coastline and some of the most beautiful towns, villages and beaches of the country are to be found here. The Costa Brava is bordered by the Mediterranean Sea and the Pyrenees Mountains, thus offering a most amazing natural beauty as well as an impressive history. All in all, the Costa Brava is one full of surprises and colors of fun portrayed in many facets. Very basic 65 m2 apartment with 1 double bed and 2 double bedrooms (4 single beds), a living room,a kitchen, TV, washing machine and a bathroom. In the province of Girona is where you will find the Costa Brava and its most beautiful environment. A holiday on the Costa Brava will have you feeling like you stepped into a postcard, given the natural beauties here completed by the Mediterranean Sea and the Pyrenees Mountains. Beaches and coves create ideal conditions for scuba diving for a chance, on the world renowned Medes Islands. The Nature Reserve Cap de Creus is also worth a visit, so is the Nature Reserve Aiguamolls de l'Empordà. Also on the Costa Brava you will find history in its most amazing appearance in places such as the archaeological site of Empúries. The Jewish Quarter of Gerona is also famous, so is the Monastery of Sant Pere de Rodes. For art lovers, the works of the famous artist Dali will be a true delight. The Costa Brava of Spain hosts great music festivals as well, such as the ones at Torroella de Montgrí and Peralada. Do not miss out on specific dishes here such as the Escudella I Carn D'olla, vegetable broth with pork, veal and chicken or the local sausage and tortilla. Whether it is lying on the beach and relaxing you are after, bathing in the Mediterranean or hiking the Pyrenees, experiencing the Spanish culture and history, there is one place where you can actually truly have it all in many facets: the Costa Brava of Spain. ATTENTION! Availability is restricted. You will be notified within a few days whether your booking has been confirmed. Deposit for youth groups 150,00 €/person for houses and 75,00 €/person for apartments that will be returned one week after the customer leaves the property. Youth groups are not allowed without any prior notice to the agency and having signed the relevant conditions. If this instruction is not observed, the agency has the full right to evict the tenants if appropriate. Please note that extra beds are in fact inflatable mattresses. Pets: In case of traveling with pets you must notify the agency in advance as in some properties pets are strongly prohibited. The extra cost is 35 €/week. Option booking not available Please note: the rates do not include the mandatory hirers' liability insurance. This small amount is a percentage of the rental sum starting from 10 Euros per reservation. 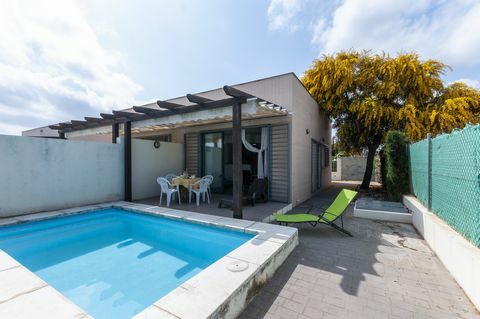 Origo Mare holiday park offers different villa suites and studios with single-storey terrace and garden, of course with garden furniture to sit outside. The accommodations have standard internet access. Some villa suites have a solarium on the roof. All accommodations also feature air conditioning. The studio ES-35650-24 for two people has a double bed or two single beds. There also is a single bed for a child of up to 12 years. Villa suite ES-35650-25 is a standard accommodation for four people and it features a double sofa bed and a bedroom with a double bed or two single beds. ES-35650-26 is the superior version of the four-person villa suite. A vacation for six people is possible in a standard villa suite (ES-35650-27). This villa offers two bedrooms, one with double bed and one with two single beds. There also is a double sofa bed in the living room. There also is a superior villa suite (ES-35650-28) with two bedrooms, one with a double bed and one with two single beds. There also is a sofa bed in the living room. Seven staying in one accommodation is possible in the standard (ES-35650-29) or in the superior version (ES-35650-30). Both apartments have a bedroom with a double bed and a bedroom with two single beds or one double bed and a bedroom with one single bed. Welcome to this fantastic summer house for 6 people. It is located just 170 metres away from Cala Santanyí. Surrounded by a stunning and wonderful pine tree forest, this great house features several outdoor spaces where you can relax and enjoy your deserved vacation. The terrace, with views to the forest and the sea, is the perfect place to taste a delicious breakfast or organise delicious banquets after a long morning or day at the beach. You also have two sunloungers where you can bask in the sun or read a book under the trees shade. And them if it's too hot, you can cool down beneath the spray of the exterior shower. The property is fenced and there are direct neighbours.The house comprises two floors. The first floor offers the communal rooms, that is, the living-dining room -equipped with a fireplace, a TV set and a DVD player- a traditional kitchen -equipped with a gas cooktop- two bedrooms with a double bed and a fan and a bathroom with a shower. On the ground floor you will find the third bedroom with twin beds and space for a baby cot (a high-chair can also be provided) and a bathroom with a bathtub. All bedrooms have a closet and there also are two radiators available. The washing machine, the iron and the ironing board can be found at the terrace.Cala Santanyí is a quiet residential area in the coast with nearby cycling routes as well as with dream-like beaches like the cove right there which is characterised by its crystal clear water and fine sand. Other beaches like Cala Llombards or Cala Figuera also are worth a visit. You will also be able to discover absolutely privileged corners such as the beach of es Trenc or the Natural Park of Mondragó, classified as a protected space and perfect for a nice walk. Pets are not allowed.The holding of events is forbidden.Consult the advertiser for possible additional charges.There is parking space for one car in the garage and exterior parking space for another car.DistancesBeach: 0.17 km - Cala SantanyíAirport: 51.2 km - Son Sant JoanGolf course: 60.5 km - Golf PuntiróTown: 5.3 km - SantanyíTrain station: 34.4 km - ManacorBus stop: 4.2 km - SantanyíFerry: 59 km - Puerto de PalmaHospital: 36.7 km - Hospital de ManacorTourist license: ETV/5872There's a mandatory tourist tax in Balearic Islands, called Ecotasa. All guests, except people under 16 years, have to pay this tax. The amount varies between 0.55€/night and guest during the low season and 2.2€/night and guest during the high season and is reduced by half from the 9th day for your stay. Guests will receive an email 7 days prior to arrival with mandatory general deposit payment information. The deposit is payable by credit card via a secure link within 24 hours after receiving the email. For more details, please contact the office using the information on the reservation confirmation received after booking. Option booking not available Please note: the rates do not include the mandatory hirers' liability insurance. This small amount is a percentage of the rental sum starting from 10 Euros per reservation. Located in Alicante Province. Sublet.com Listing ID 4177230. For more information and pictures visit https:// ... /rent.asp and enter listing ID 4177230. Contact Sublet.com at ... if you have questions. 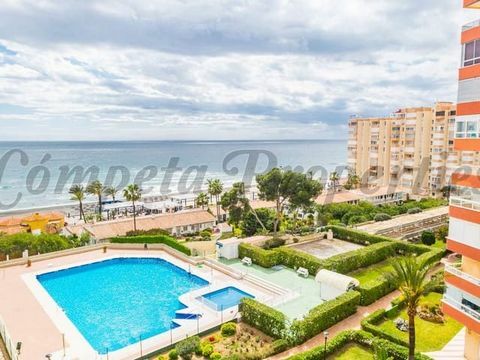 Nice apartment located in a quiet residential area and within walking distance of the beaches of Palafrugell. The apartment is on the first floor, has 3 bedrooms, a bathroom, fully equipped kitchen and living room with access to a small terrace from where you can enjoy the sun. On the ground floor there is a garden area that can be used, and that in case that the owner of the lower floor is, it has to be shared. The apartment is located just 5 minutes walk from one of the beautiful beaches of Palafrugell, ideal place to enjoy the Mediaterranean sea, its climate, cuisine and people. The littoral of the municipality is formed by an infinity of rocks, cliffs, beaches and hidden corners of great beauty. We recommend a boat trip, kayak or walk along the coast discovering all its charm. Property in Spain. 2 bedrooms. 2 bathrooms. Terrace. Wonderful house with private pool located in the quiet residential area of Oliva Nova, where 4-5 guests find their vacation place near the sea. The sea is about 250 metres away from this beautiful house so when you wake up in the morning you will have to decide if you head for the beach or you stay at home swimming in the chlorine private pool. This sizes 4 x 2 metres and the water depth ranges from 1.1 to 1.3 metres, so it's perfect to relax and cool down. You will find two sun loungers by the pool where you can either sunbathe or enjoy a good reading. The terrace, with a sliding awning, is perfect to enjoy your breakfast or a succulent barbecue in the evening.Inside you find an open-plan room with the living, the dining and the kitchen. It is perfect to spend time together whilst cooking delicious recipes on the ceramic hob or in the oven and having an appetiser or chatting with your loved ones. The TV and the sofa are ideal to rest for a while. The washing machine, iron and ironing board are also here. There is a shower bathroom for the whole accommodation. In the house, there are two bedrooms with a closet each. One has a double bed and the other one has a bunk bed. A baby cot and a high chair can be provided. And we can prepare the sofa bed at the living area for the extra guest. Finally the house features ducted air-conditioning.Oliva nova is a privileged place in the Mediterranean thanks to the numerous and extraordinary beaches of fine and golden sand and shallow waters skirting the coast for about 8.5 km. They are well known in Europe because of their beauty, nature and quality, something that, together with the great weather and a great variety of services, makes this a perfect destiny to enjoy your vacation in all seasons.Pets are welcome!The holding of events is forbidden.Consult the advertiser for additional possible charges.There is exterior parking for 1 car.DistancesBeach: 0.250 km - Oliva NovaAirport: 95 km - ValenciaGolf course: 3 km - Oliva Nova golfTown: 0.01 km - Oliva NovaTrain station: 18 km - GandiaBus stop: 9.5 km - OlivaFerry: 20 km - DéniaHospital: 16 km - GandiaTourist license: AT-33986-V Guests will receive an email 7 days prior to arrival with mandatory general deposit payment information. The deposit is payable by credit card via a secure link within 24 hours after receiving the email. For more details, please contact the office using the information on the reservation confirmation received after booking. Option booking not available Please note: the rates do not include the mandatory hirers' liability insurance. This small amount is a percentage of the rental sum starting from 10 Euros per reservation. Located in Malaga Province. Sublet.com Listing ID 4139784. For more information and pictures visit https:// ... /rent.asp and enter listing ID 4139784. Contact Sublet.com at ... if you have questions.